QOOB is television turned inside out. 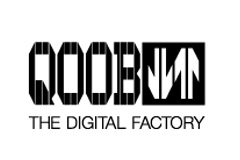 The stiff walls of TV as we know it are being torn down and make way for the open trails of webodome, exploring new ways of producing and distributing short format content. You can post your contents (audio, video, pictures, blogs), find people, tie collaborations, improve and test your skills or simply enjoy what's been uploaded by your peers.